Black Forest Oak Leaves Hunting Cuckoo Clock - 15? CLOSEOUTS. 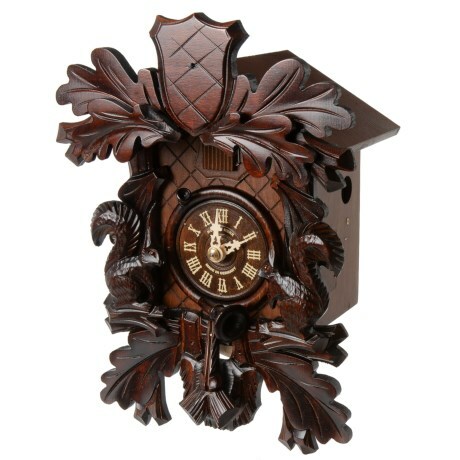 A luxurious addition to any home or office, Hubert Herrand#39;s Black Forest Oak Leaves hunting cuckoo clock offers a beautiful hand-carved display with a cuckoo on every half and full hour. Available Colors: SEE PHOTO.